David Doyle - News- Area in the spotlight – Boxmoor – what makes it special? Area in the spotlight – Boxmoor – what makes it special? It would be lovely to think that everyone likes living where they live. It would be very idealistic to think that we all lived in communities which perfectly fitted who we were as people. Unfortunately, for many people this isn`t the case – and regardless of how hard local councils and community groups work, it proves impossible to bring people together. In Boxmoor, this is definitely not the case. Having been selling houses in and around Boxmoor for the last 30 years, we constantly hear from people the many reasons why they want to move to the area. For so many people there are different reasons – and it always surprises us of the things that are important to one buyer, will be totally irrelevant to another. Some of the motivating factors for a move are obvious – I have lost count of the number of times that I have taken calls from young couples, currently living in London, who are expecting a baby, or who have recently got married, and are looking to start a family. For these buyers the motivation is fairly straightforward – they are concerned with finding the extra space that they can find moving out of the city, and over to Hemel Hempstead. The excellent transport links that we have here, enable many young professionals to make a huge lifestyle change, whilst still allowing a straightforward journey to their current place of work. When you combine the ease of access to London, with the wide range of schooling (both state, and private) that are available locally, it doesn`t take a rocket scientist to work out why people are picking Hemel, and particularly Boxmoor as the top of their wish list. 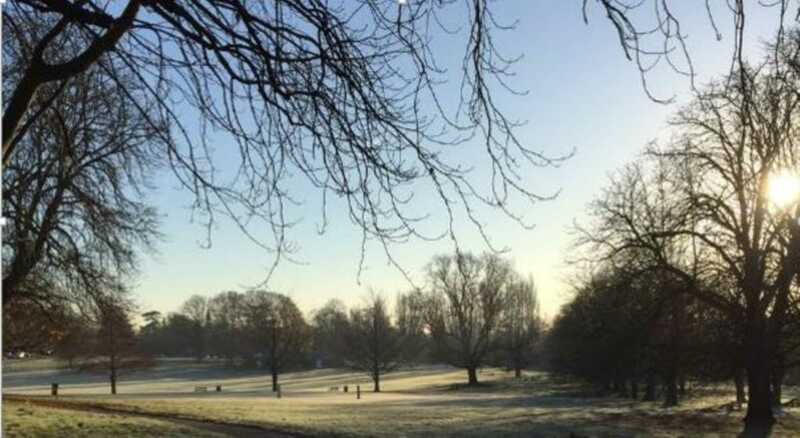 For those who already have young children, Boxmoor is an obvious choice too – with the Boxmoor Trust land – specifically the Blackbird`s Moor providing a hub of activity. The children`s playpark has always been well maintained, but has recently undergone a renovation; making it even better for the little ones, and the busy schedule of events which take place annually on the Moor surely has something for everyone – with Carter`s Steam Fair, the Conker Festival, and Dog Show to name but a few. With thriving cricket clubs located at either end of the moor – Hemel Hempstead and Boxmoor – the summer afternoons are punctuated with the sound of leather on willow, and the gentle clapping of the spectators – there are few places so close to a town where you can still find such a traditional scene. There is a strong sense of community which runs through the core of the village – which isn`t surprising when you consider the number of community organisations that are available to get involved with - not least Boho Boxmoor – a group of local people who organise events like the Christmas tree light switch on, and litter picking around the local area. The Boxmoor Playhouse; home of the Hemel Hempstead Theatre Company regularly put on productions to a very high standard, and the Sports Centre offers fantastic facilities and four swimming pools, whilst a walk along the canal can be nicely rounded up with a slice of homemade cake and cup of tea at the wonderful Fishery Wharf Café. For those visiting Boxmoor, or indeed for those lucky enough to live here – there is no shortage of places to eat, or to get food or something to drink – in addition to the five pubs and one social club – three of which serve food, we have the Ration Book Bakery, a fish and chip shop, an Indian restaurant, and a takeaway. Those with limited mobility, or anyone not wanting to have to get in the car to find amenities will be pleased to find that most needs are catered for right here in the village – with barber`s shop, hairdresser, and beautician, all of your pampering needs can be covered. A picture framing shop, bridal shop, florist, jeweller, dog grooming parlour and village convenience store, combined with a Post Office, this one small village can boast a far greater number of facilities than some small towns. This doesn`t even take into consideration the close proximity to Hemel Hempstead with the far wider range of high street shops, sports and entertainment venues. Boxmoor also plays host to several thriving church communities, from a variety of denominations, and is very lucky to have not just a doctor`s surgery, but also a pharmacy. Not to mention the various estate agencies, from which to buy or sell your dream Boxmoor home! So if you`re looking for a house in an area which is close to London, but with all of the charm of a village – Boxmoor could be the place for you! Or to discuss your property needs, call us on 01442 248671.